Cindy Vine: When will School Shootings stop? With all the hype of the Royal Wedding, it seems the latest school shooting might hide in the shadows behind photos of the royal couple. 10 People dead and the 22nd school shooting in the US in 2018! Definitely not a statistic to feel proud of. 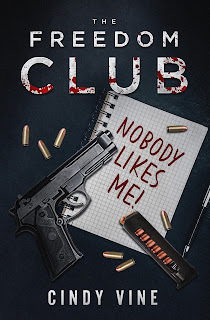 It's uncanny that the day The Freedom Club was released on Amazon, is the same day there's another school shooting. Having started a school for children who struggle to cope in mainstream education, I heard many terrible stories about bullying on a daily basis. In my over 30 years in education teaching in schools all around the world, I have heard many stories about bullying. It seems to be an ongoing problem, despite schools saying they have zero tolerance for bullies. My own children have been bullied. I can vividly remember the day one of my children came home crying her heart out. Freddie Mercury had just died and a boy in her class told her that she gave Freddie Mercury AIDS. She was devastated, fully believing that because of her, he would never sing again! Children can be cruel, very cruel. They say what they want without thinking about the consequences. Words hurt. Teen suicides and school shootings are an alarming trend. 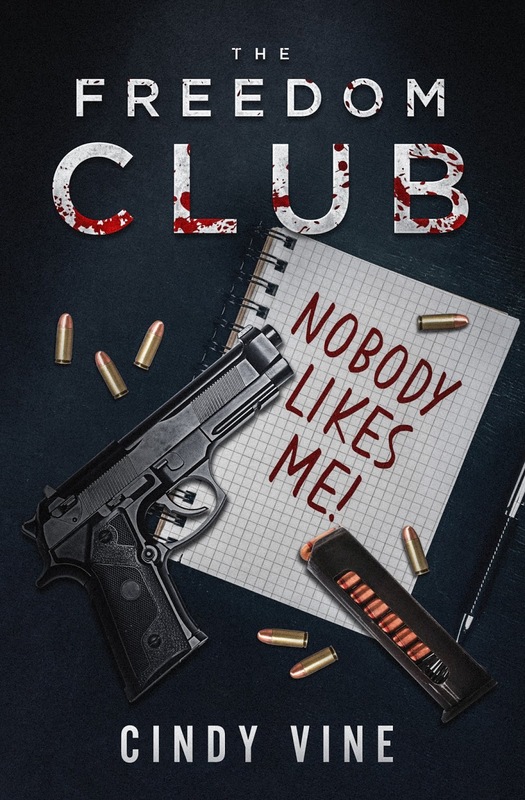 After the Las Vegas shooting on 1 October 2017, even though it wasn't a school shooting, I got the idea for The Freedom Club. My thinking was, what if some high school students get tired of being victims of bullying and do something about it? Now I am not saying that all school shootings happen because of bullying. Some school shooters have histories of mental instability. For others it might be attention seeking or out of anger. But the one thing all school shootings have in common, is that those left behind are completely traumatized. 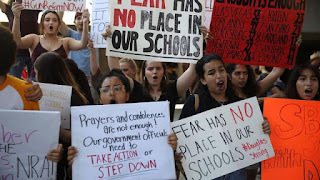 After the Parklands school shooting there was a lot of publicity, marches, protests, walk-outs, debates. Students were unanimous in wanting change. They wanted to feel safe at school. That's not a ridiculous request if you think of it. Children go to school to get an education, not to be shot at. But so far, nothing important has happened. There's been no big change in legislation. There's been a ludicrous suggestion that teachers should be armed to stop school shootings. Many years ago, just before Nelson Mandela became president of South Africa, there was a lot of rioting, protest action and the burning down of schools. Apartheid had not yet been dismantled. I can remember, together with the other members of staff, being taught how to use an RN Rifle so that we could defend the school in case the protestors came to burn it down. Thank goodness the protestors never came and we never had to defend the school. However, I can remember feeling uncomfortable that we were expected to use a gun on the school premises if the situation called for it. I had become a teacher to make learning fun, not to be a gun carrying educator. The Freedom Club tells the stories of the children. Stories that all those who have been bullied can identify with. Cindy Vine is an author and teacher living and working in Norway. She is the author of The Case of Billy B, Not Telling, Defective, CU@8, Hush Baby and The Freedom Club. All her books are available on Amazon.com in both Ebook and Paperback formats.